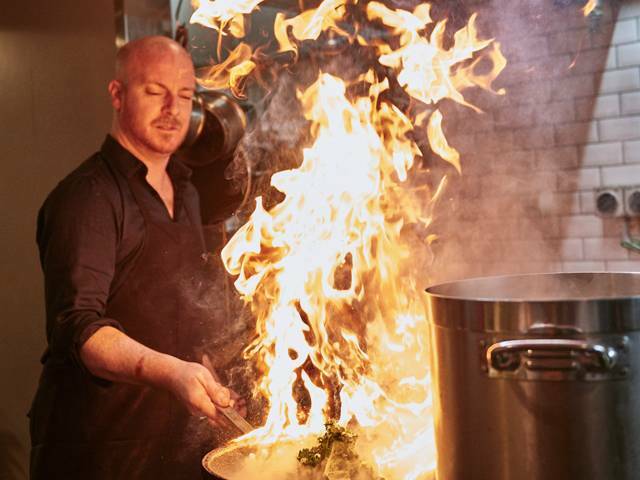 Ben Fitton has cooked for Rod Stewart, Jerry Seinfeld, Baz Luhrmann and even the King of Spain, and now – thanks to his new appointment as Head Chef at Panama House – he's now serving up his signature techniques and international flavours, so you too can feel like a celebrity! With world-class views of Bondi's iconic beachfront, Panama House is the Latin American flavoured restaurant and bar offering a unique Central American dining experience via its all-day Bottomless Brunches, all-you-can-eat Taco Tuesdays, long lunches, share-style dinners, sundowner cocktails, and mouth-watering takeaway coffee. Locals and tourists with an appetite for flavour-filled cuisine, have welcomed Fitton, who's taken up residency as Head Chef at this Bondi food institution. This esteemed chef's stellar career includes roles across Australia and internationally, including Head Chef at The Fish Shop, Café del Mar, Roomtwentyeight, and Macleay Street Bistro. Fitton's impressive culinary lineage also includes roles at Sean's Panorama, Fuel Bistro, the MCA Café at the Rocks, and the two-hatted Bennelong Restaurant (where he completed his apprenticeship under the training of Gay Bilson and mentoring of Janni Kyritisis, who is billed as one of Australia's most innovative chefs). Fitton, a former private chef in the South Hamptons(New York, USA) prides himself on his respect for the importance of quality produce, and how it should be treated, stored and cooked; and so, naturally, he's pumped to introduce his unique flair for flavour, and his exceptional attention to detail, to the Panama House menu. Of the move to Panama House, Fitton says, "I love using local and South American ingredients to create the exciting and unique Latin American menu at Panama House. Guest should expect the unexpected: vibrant, fresh flavours, herbs, lime, chilli, earthy moles, Peruvian aquachille, pork belly roasted over pineapple and served on a taco, and traditional Mexican street food. The menu is always bursting with an endless combination of flavours, which you simply can't find anywhere else in Bondi." In January, after five years at its Bondi Road address, Panama House relocated to a new Campbell Parade premises, ensuring diners can now enjoy a killer view of Bondi Beach while they chow down on an appetite-smashing all-you-can-eat Taco Tuesday, or a monster "Bottomless Brunch" with its "keep 'em coming!" menu of bloody Marys, mimosas, rosé, tecate and michelada (available Fridays to Sundays)! Geraint Coles is the Managing Partner of Panama House. He says, "Having worked together before, Ben and I were able to just dive right into our plans, both for the upcoming summer and for the future of Panama House. We and the entire Panama House team can't wait to reveal what's coming next."